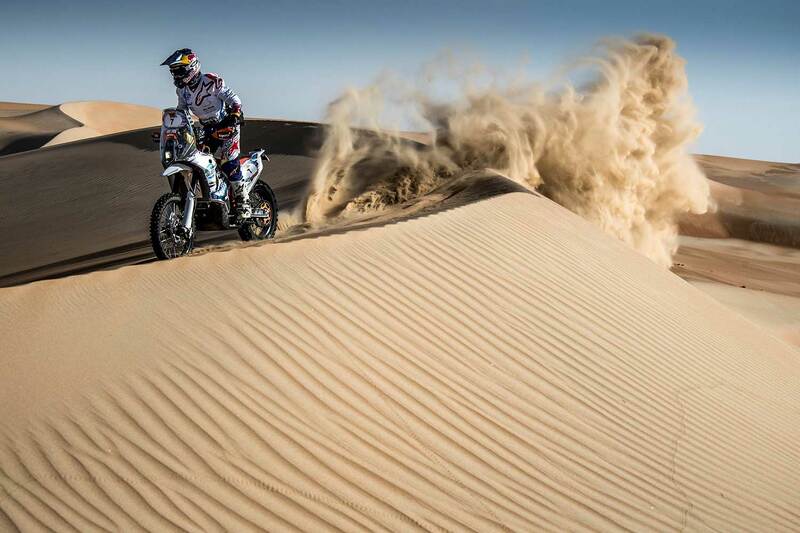 On a day when the heat and soft sand of the desert dunes made it a particularly tough stage for the riders, Chilenian Pablo Quintanilla set the fastest time on his Husqvarna with 03:40:37 hours in today´s (Monday) SS02 "Nissan" to take a overall lead of 01:08 mins from the KTM of Dubai-based defending champion Sam Sunderland who finished 5th today with +8:59 mins. "It was a really good stage today," said Quintanilla. "I started fifth so it was a good opportunity to catch some time on the guys ahead, but some big dunes and soft sand made it hard to maneuver." Sam Sunderland summarized: "I had a difficult day today. A lot of the track was off piste and the sun was pretty high and I reckon I lost time today. I managed to catch Toby early on and we rode together. It was an extremely hot and long day." 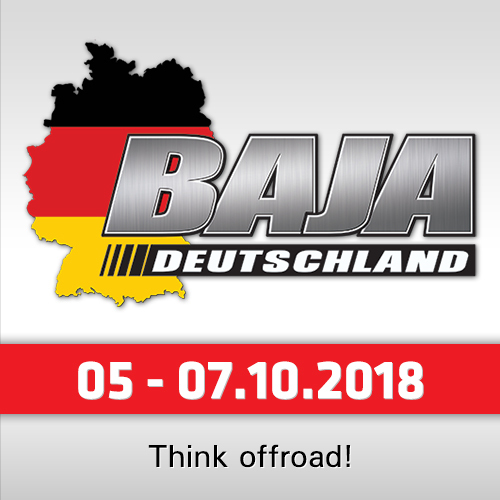 Second in the daily rankings was Argentinian Honda-rider Kevin Benavides (+03:01) in front of Austrian Dakar-winner Matthias Walkner (KTM, +06:01), so in the overall rankings Benavides is now 3rd (+01:55) and Walkner 4th (+2:39). 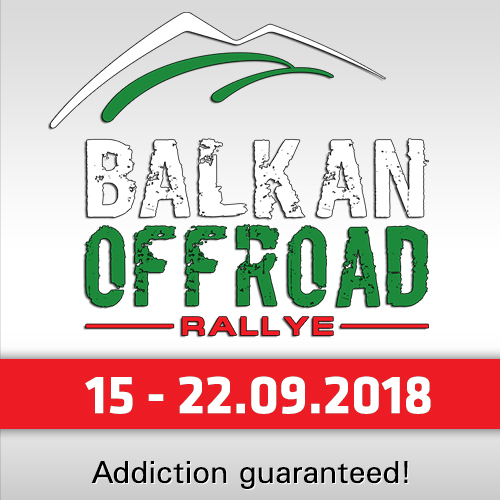 Portugal’s Paulo Goncalves (+13:25), the 2014 Desert Challenge champion, and American Ricky Brabec (+14:10) on a Honda are completing the overall top six with - while Australia’s overnight leader and 2016 winner Toby Price plunged out of the reckoning because of a shattered fuel pump, he finished 11th today and is 8th overall now with +26:42 minutes. "That was a rough stage and really hot," said Matthias Walkner. "The big peaks and dunes were difficult to read. In the end we rode together to the finish." 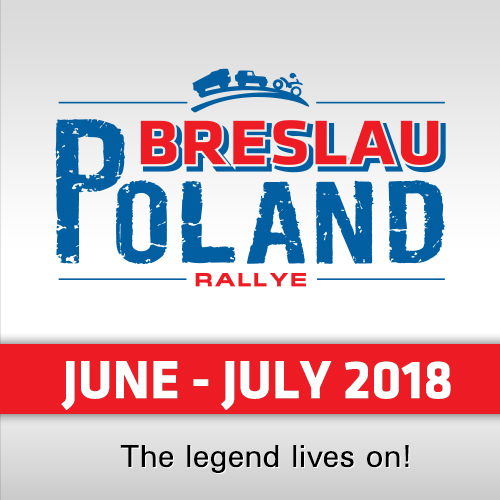 With his hopes of a second Desert Challenge win effectively over for another year, Toby Price said: "It was a tough day, losing a lot of time with a broken fuel pump which I had to fix. I lost so much time, which will be hard to make up, but that's rallying I will keep cruising over the next few days." Local Hero Balooshi: "A lot of fun today with great jumps over dunes"
Top Emirati rider Mohammed Al Balooshi, recent winner of the Dubai International Baja, held on to his top ten place among world-class competition with another good performance. "The Desert Challenge really started today," said the local hero. 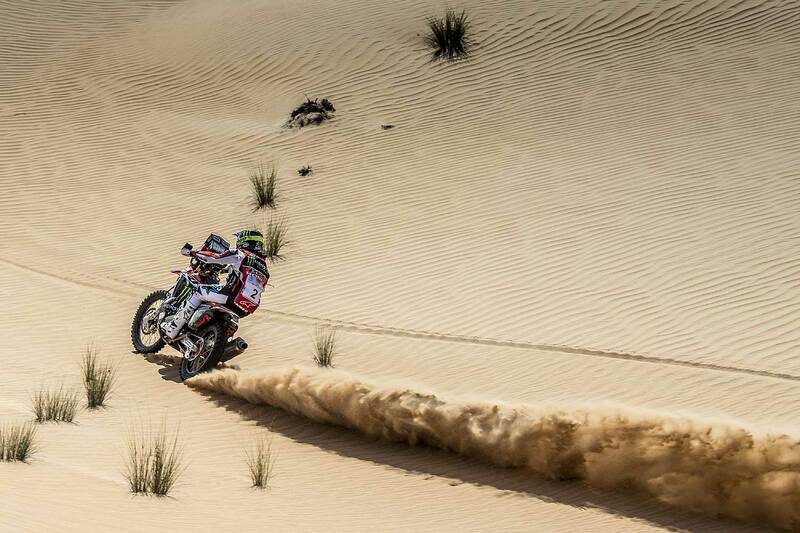 "It was a very difficult stage and it was hard to judge the sand up until the refuel. I managed to pick up after the refuel and joined up with another Honda rider and we rode out until the stage finish. 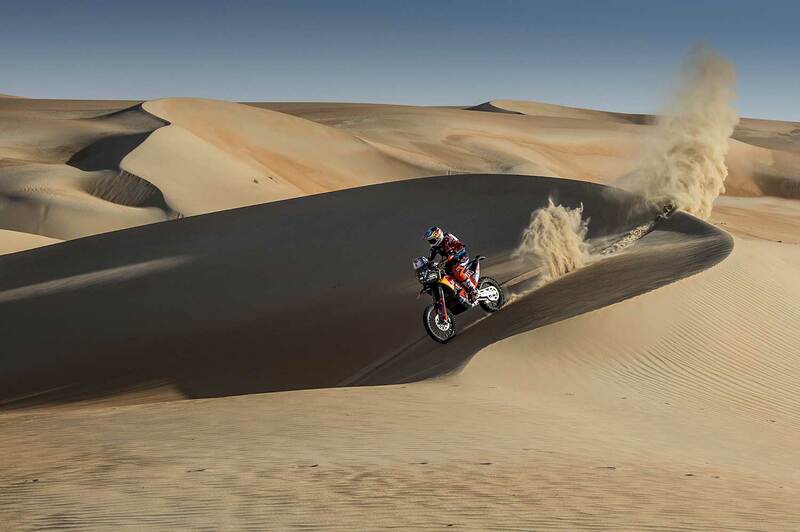 It was a lot of fun today with some great jumps over the dunes and I definitely feel I’ve done better than last year’s stage."